Dr Loninger was very attentive when he saw me. He spent a considerable amount of time talking to me about theissue, the science surrounding the problem and the potential remedies. Would recommend to anyone else who has a foot problem needing to be solved. Dr Loninger was very attentive when he saw me. He spent a considerable amount of time talking to me about the issue, the science surrounding the problem and the potential remedies.Would recommend to anyone else who has a foot problem needing to be solved. 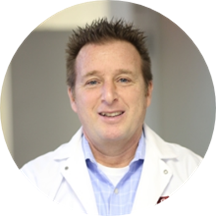 Dr. Richard Loninger, DPM was born and raised in central New Jersey where he currently resides with his wife and four children. He completed his pre-medical training at Rutgers University in 1992 and then went on to the New York College of Podiatric Medicine in New York City. Graduating with scholarly honors in 1996, Dr. Loninger has compiled many awards throughout his academic career, his proudest being named The Emile Rose Scholar upon graduation. This award is given to the one student, who through academic testing, scored the highest in all academic material taught throughout the four years of medical school. I thought Dr. Loninger was fast, personable and really knowledgeable. Explained everything. Very transparent doctor and staff. Dr. L was very thorough in explaining what procedure needs to be done. His assistant is quite lovely, scheduled my appointment according to my schedule, even gave me her personal number! I look forward to being a long time patient. I am 2 weeks after having a very painful nerve problem fixed by way of the dr inserting needles. I can walk again after limping around for 2 months. Very happy. I’ve been to both his Manhattan and NJ place. Bothare nice places. Jersey is more like a hospital environment but beautiful. Dr Loninger is great. The assistant Delly is fabulous! I have been a patient of Dr. Loninger’s for approximately 17 years. He has always been very kind and professional. I would not trust my feet to any way else but him. It was a great experience. Dr. Loninger is very friendly and professional. Fixed my nasty toe nail problem. I want to give the nurse Deli a special shoutout since she cares about the patients a lot and always talks to meabout life outside work, which makes me relax. Everybody there is very warm. 5 star experience. Dr. Richard Loninger is absolutely amazing. He made it very clear what the diagnosis is and what the course of action is. And we decided to act fast and remedy the issue. Exc as usual. Must see. I got bunion surgery on both feet, two weeks apart, and Dr. Loninger was very professional and helpful throughout the entire process. The surgery wasn't painful at all and post-operation, I was told to text the doctor if I had anyquestions/concerns while recovering at home. I'm still healing and waiting to recover fully, but Dr. Loninger and the entire office staff has been very pleasant and helpful throughout the entire process. Highly recommend! Honestly, I've never gone to a Doctor before and left saying "wow I need to tell my friends about this guy." But that was exactly my experience with Dr. Loninger. I've had those torturous ingrown toenail procedures done at least 3times in the past 10 years and they were all just that, torturous. But with Dr. Loninger it was PAINLESS! and very fast too. If you want to cure your ingrown toenail, and you don't want to go through the standard painful long procedure trust me PLEASE check out Dr. Loninger, you'll be grateful. Summary: great podiatrist! I usually don't write reviews, but after seeing that the only written review was extremely negative, I'd just like to discuss my positive experiences with Dr. Loninger (2 procedures - both ingrown toenails) as wellas feedback to the negative comment I saw. In regard to the idea of being pressured to use anesthesia during the procedure, this is not true. During the initial consultation he explained that I could receive just a local anesthetic or the IV anesthetic. While he certainly recommended the IV treatment, it was purely for my benefit as a patient. I had been putting of treatment for a couple months for my first ingrown toenail because of the fear of pain from the procedure. Knowing that it would not be a painful experience certainly put my mind at ease. During the procedure, there's a professional anesthesiologist in the room and I did not feel anything the entire time (I was also conscious enough to have some fun conversation with the doctors and nurses). After the procedure I was helped into my socks and shoes and was able to go to work immediately after. Was in the office at 11:00 and in a taxi by ~12:00. No pain the day of or the days following. Just remember to wear sneakers or a looser fitting shoe the day of the procedure since you'll have bandages on. Dr. Loninger is great and I will continue to go to him if I have any more foot problems in the future. Thanks!